The potential and promise was there, and Greece's Sacred Blood has stepped up. Their sophomore effort, Alexandros, proves them to be upcoming purveyors of finer epic power metal. Sacred Blood: lost in the woods. As with the previous The Battle Of Thermopylae, the album is also an historical concept album; this time concerning Alexander the Great. 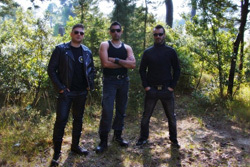 Also, typical of Sacred Blood's technique they work gathers larger melodic power metal songs around shorter cuts. Some are simple segues, and some offer spoken narration. At first these segments seem inconsequential, maybe even unnecessary. But when listened as whole, straight through, they add to the story and musical flow. Fundamentally, the material of interest is the larger songs. 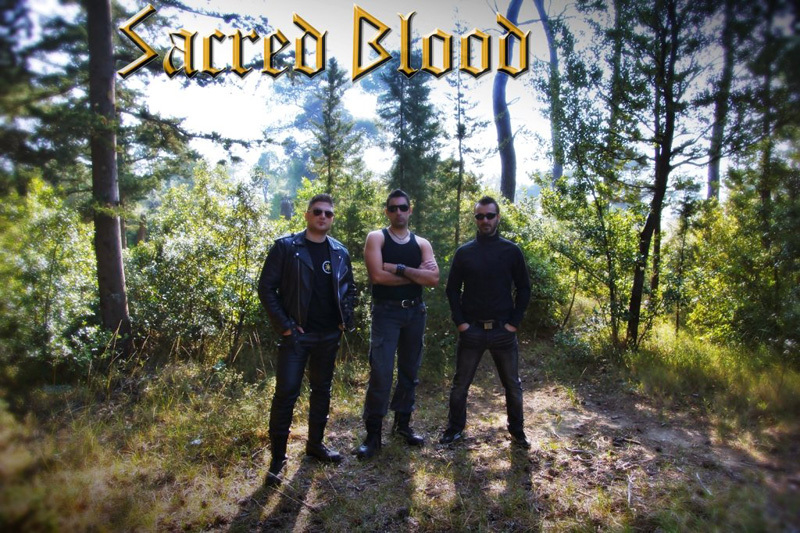 If anything was done right Sacred Blood stuck to doing straight melodic heavy and power metal, eschewing some the odd attempts at prog nuances that hampered the former album. Their power metal blisters with energy and has an epic texture thanks to the melodic guitar, vocal, and symphonic arrangements. The band has found their groove. Best picks here: Ride Through The Achaemenid Empire, The Battle of Granicus, Death Behind the Walls, and the shorter Before the Gates of Ishtar. 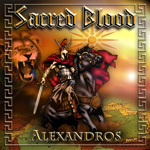 With Alexandros, Sacred Blood becomes one of the best new agents of historical and epic melodic power metal. Easily recommended.